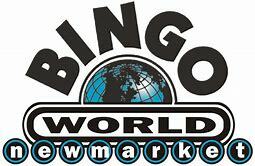 The North Newmarket Lions Club is part of the Newmarket Charitiable Gamining Assocization, that hold bingo sessions at the Bingo World Bingo Hall, located at 1230 Kerrisdale Boulevard, Newmarket. The North Newmarket Lions Club hosts one of the best Artisan's Festivals in Ontario, on the Third Weekend of every June (Fathers Day Weekend), in the natural setting of Fairy Lake Park. There are always lots of handmade items for show and for sale, as well as entertainment, food, and surprises for the whole family. Bring your Father, and the whole family to the Annual Fairy Lake Artisan's Festival. The Festival takes place between 10:00am and 5:00pm on both the Saturday and Sunday. Please visit our Fairy Lake Artisan's and Food Truck Festival page for more information about the show. The North Newmarket Lions Club hosts the biggest party of the year, on Canada Day. Hot weather, hot music, food, cold beverages, it's all part of Canada Day at Riverwalk Commons. This is the place where people come to meet their friends. ​The North Newmarket Lions Club also host a Fall Dinner and Dance, in support of it's many Community Activities and Programs. The North Newmarket Lions Club supports the Lions Foundation of Canada, by collecting Change for Canines, in support of the purchase of Dog Guides. The Lions Foundation of Canada provide Dog Guides, transportation, training, accommodation, and support to clients who are blind, deaf, who suffer seizures, or who have other special needs, as well as Children between the ages of 7 and 14, who are Autistic. Please visit the Lions Foundation of Canada Website for further information. The North Newmarket Lions Club is involved in Sight Conservation Projects. The North Newmarket Lions Club participates in a program in which Children are Vision Screened while they are in Senior Kindergarten. If any issues are identified, correspondence is set home to the Child's parent, suggesting that an appointment be made with a Healthcare Professional. This type of screening is done to ensure that children don't have any sight impediments that effect the way in which they learn. Members of the North Newmarket Lions also collect used eyeglasses for our eyeglass recycling project. Once collected, these eyeglasses are sent to the Lions Canadian Eyeglass Recycling Center, in Calgary, where the prescription is determined, and they are distributed all over the World, for those in need. The Lions and Lioness of Newmarket operate a Coats for Kids Store, located at 1271 Gorham Street, Unit #8 (at Harry Walker Parkway), Saturdays, from 10:00am to 1:00pm, from Mid-October through Mid-March. Coats, Snowsuits, Boots, Hats, Mitts and scarves are avialable in Infant to Adult Sizes. The North Newmarket Lions Club supports the Southlake Regional Health Centre Foundation, the Canadian Cancer Society, the Canadian Diabetes Association, CNIB Lake Joseph Camp, the Lake Simcoe Conservation Authority, Special Olympics Ontario, The Alzheimer Society of York Region, and various Lions Specific Projects, such as Lions Homes for the Deaf. The North Newmarket Lions Club Supports Lions Clubs Camp Kirk, and the Lions Clubs Camp Kirk Foundation. The Camp, owned by the Lions and Lioness of District A-16, is located in Kirkfield, and is operated yearly by the Friends of the Learning Disabled, a non-profit organization that staffs and runs the camp. Children who have attended this camp have gone on to better themselves , and conquer their disabilities, because of the skills and the opportunity to interact, that they have learned at Lions Clubs Camp Kirk. The North Newmarket Lions Club supports other Community Events and Community Organizations, such as the Annual Terry Fox Run to End Cancer, the Newmarket Baseball Association, who has participated in our Change for Canines Project, the Annual Big Brothers/Big Sisters Bowl For Kids Sake, the Xtreme Drummers of Bogart Public School, the Navy League, Sea and Air Cadets of Newmarket, the 3rd Newmarket Scout Tree. and the Annual York Region Media Group Festival of the Arts. The North Newmarket Lions Club is a long time Supporter of Community Living Newmarket/Aurora, and the Annual March Break Newmarket House League Hockey Tournament. The North Newmarket Lions Club also supports higher education. Each year High School Students receive Community Service Hours, during Lions Events, and at the end of the School year, North Newmarket Lions members attend Graduation Ceremonies and award Bursaries to deserving students, so that they can continue their education. The North Newmarket Lions Club supports Sleeping Children Around the World, a Foundation that provides bed kits, school uniforms, shoes, and school supplies for children in third world countries. The North Newmarket Lions Club has formed partnerships with the Newmarket Food Pantry. the Central York Salvation Army, the Women's Center of York Region, and the York Region Children's Aid Society, for the benefit of our Community. During the Christmas Holiday Season, members of the North Newmarket Lions Club work with all of these organizations, to ensure that families in the area that are in need receive food, clothing, and toys for the children. North Newmarket Lions Members assist by working at Christmas Kettle locations, as well as at the various "Christmas" Distribution Centers. The North Newmarket Lions Club also donates substanial amounts of money to these Community Organizations, to assist their respective Christmas Holiday programs, and at other times of the year when needed.